9:15, grandparents will get students from their classrooms and go to the cafeteria for a treat and a craft. 10:30, grandparents will return students to their classrooms and visit for a few minutes to allow students to show off their learning and classroom. 10:45, grandparents will be asked to leave the building so regular instruction can resume. 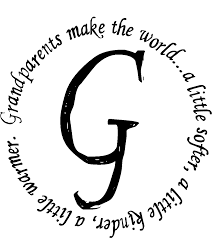 Please remember this event is reserved to grandparents, so we can show the admiration and respect to them because they are so important to our school community!